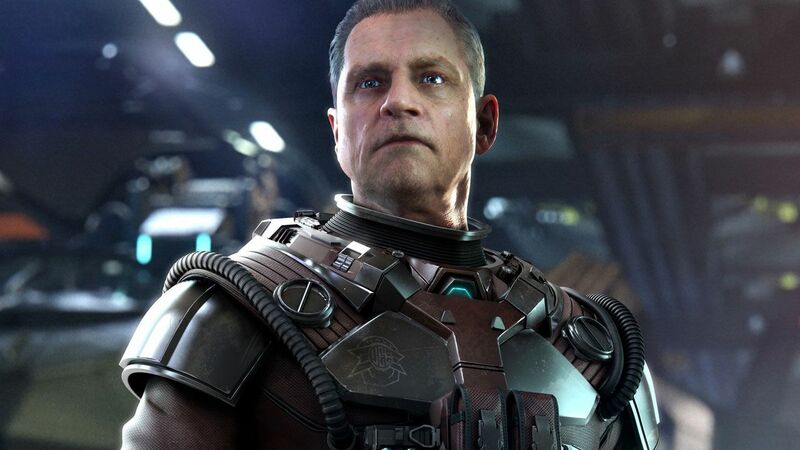 Squadron 42 (the single player campaign of Star Citizen) finally has a roadmap, with the beta scheduled for Q2 2020 and the full launch estimated between Q3 and Q4 2020. Speaking with GamesBeat in a massive, four-page long interview, Cloud Imperium Games Founder and Game Director Chris Roberts explained what makes Squadron 42 stand out even above the most acclaimed narrative focused games such as Naughty Dog’s The Last of Us, Sony Santa Monica’s God of War and Rockstar’s Red Dead Redemption 2. The difference between this and a movie — every single secondary character has their own arcs and stories. It’s tied quite tightly into how the story unfolds. I feel like, hopefully, if it all works on an emotional basis, it will be an experience that will be pretty awesome for people. As we’re making it, as I’m seeing this stuff as it happens, I can feel how that’s going to be and how people will be taken by it. I’m excited to get to a point where other people can see and experience that. I know there are elements — whether it’s God of War or Red Dead Redemption 2 or The Last of Us, other games have similar elements to this. I feel like we’re at a level that’s above that, a level of connection and acting and characterization. But of course, I’m very biased. I’m hoping it will push forward that sense of interactive — whatever you want to call it. In the old days, we’d call it interactive movies. This story where you are the star, that you’re driving forward. We’ve crafted it in such a way that you’re making the choices. The difference compared to — in some of our past games, some of the actual choices you make, in terms of character interaction, are made for you, not by you as the player. But in our case, we’ve very carefully crafted it so you choose who you befriend, who you hang out with, who you talk to, how you find out what their life stories are. As the story unfolds and things happen to various characters inside the story — and of course they do, because otherwise it wouldn’t be a very interesting story — then hopefully it’s more affecting for you. If someone gets killed and you spent the time to get to know them and really like them, that should be more emotionally affecting than if you’re told that you should be upset, if you’re crying about them simply because that was constructed into the narrative. We’ve tried very much to be subtle, to paint with texture. When it all comes together, I think the detail of it will be really impactful. Those are lofty claims to make, though it is the whole Star Citizen project that literally aims to the stars. With regards to Squadron 42, what’s certain is the star-studded cast that will be featured in the game, starting with Academy Award winner Gary Oldman, Golden Globe winner Gillian Anderson, Golden Globe nominees Andy Serkis and Ben Mendelsohn, Primetime Emmy nominee John Rhys-Davies, and widely acclaimed actors such as Mark Hamill, Mark Strong, Liam Cunningham, Rhona Mitra and Henry Cavill (who’s also going to be featured soon as Geralt of Rivia in the upcoming Netflix series). Of course, the cast itself isn’t enough. The screenplay will have to be ironclad as well if Squadron 42 is truly to soar above the best in the games industry as hoped by Chris Roberts. His own work might be vital in this regard – after all, he left the industry after Freelancer to make movies and he did produce a few good ones such as Lord of War, Outlander and Black Water Transit.